The dual monitor sit-stand desk converter helps enhance your productivity and comfort. 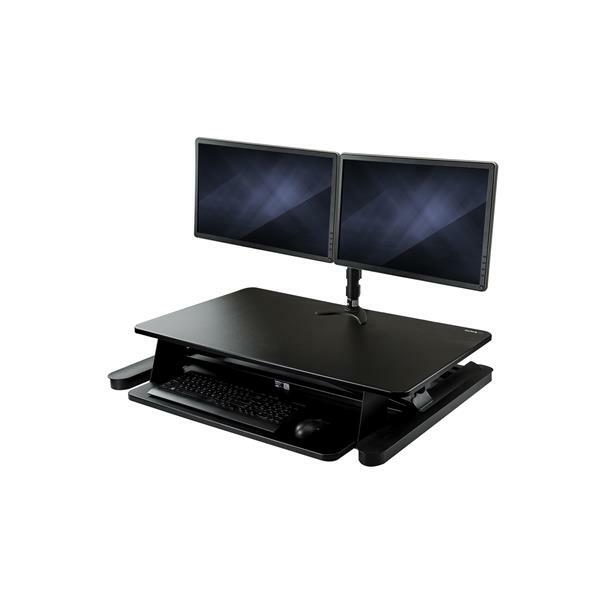 This ergonomic desk solution includes two products: the spacious sit-stand workstation (ARMSTSLG) and the dual monitor mount (ARMDUAL), supporting two monitors up to 24”. 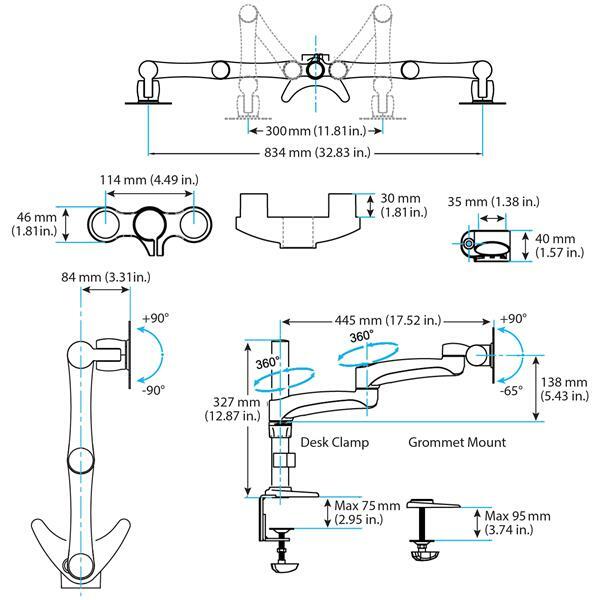 The articulating arms offer a wide range of motion for convenient flexibility. With one touch, switch your position from sitting to standing or vice versa, to keep a balanced level of movement throughout the day. 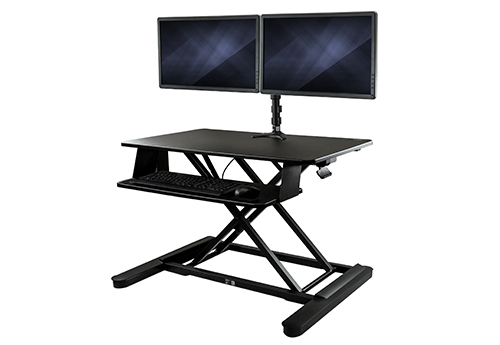 The height-adjustable standing desk workstation features a pneumatic spring that makes it easy to raise or lower your work surface up to 15.7” (400 mm), to suit your height requirements (instead of selecting from pre-determined heights). You can also adjust the tension, to make height adjustments even easier. 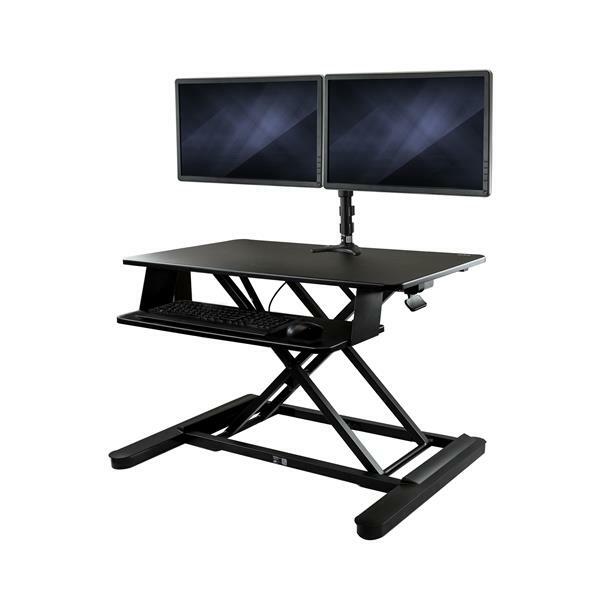 The spacious 35” (0.9 m) wide ergonomic workstation supports two monitors up to 24” each, giving you the screen space you need for easier multitasking. 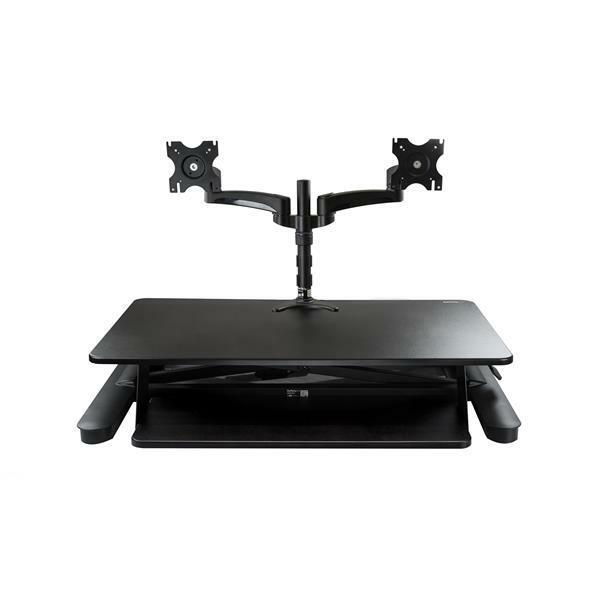 The articulating monitor arms offer a wide range of motion on several axes, giving you the freedom to place your displays side by side or spread apart. Tilt, pan, and swivel for optimum viewing. 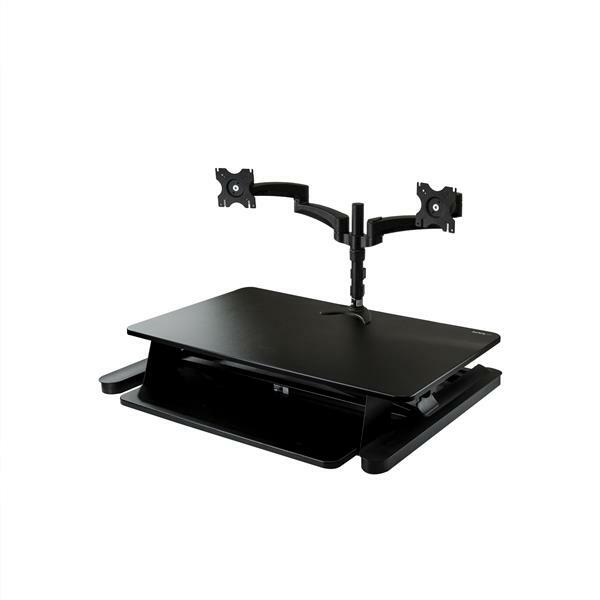 The dual arm also rotates 360° for landscape or portrait viewing. 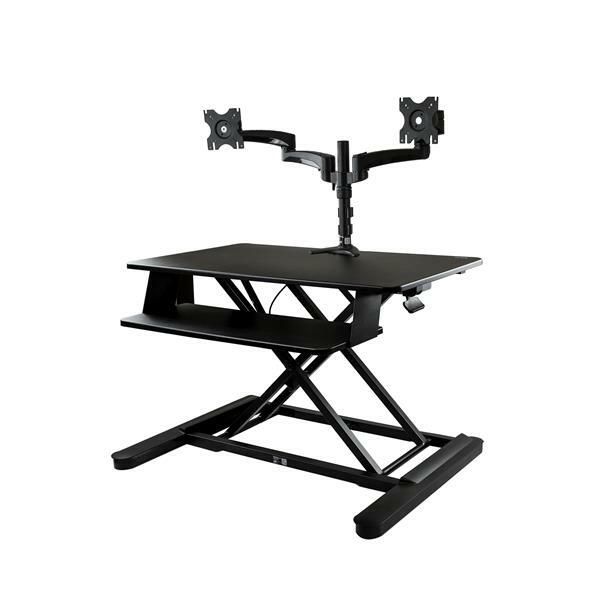 Simply place the sit-stand desk converter on your existing desk (minimum 26” depth). 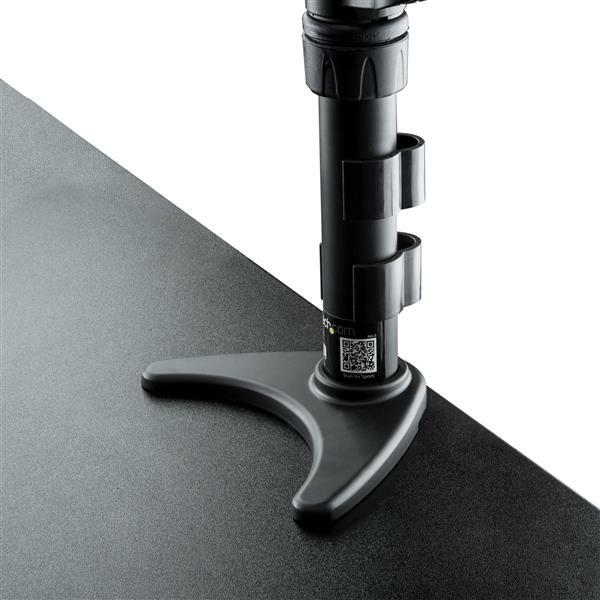 Then, attach the monitor mount using the grommet hole and included grommet mount hardware. The BNDSTSLGDUAL is backed by a StarTech.com 2-year warranty and free lifetime technical support. Note Shipping weight may vary. Refer to shipper for exact value.